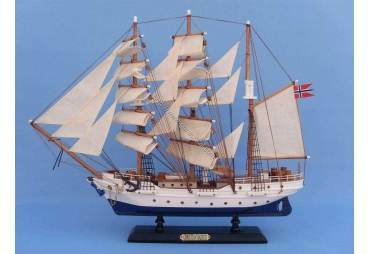 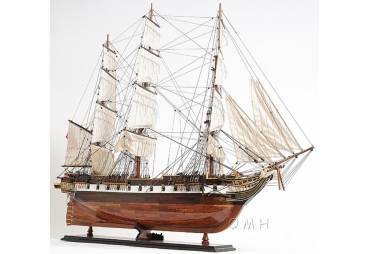 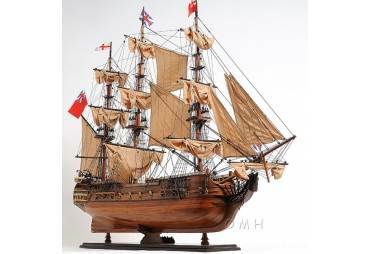 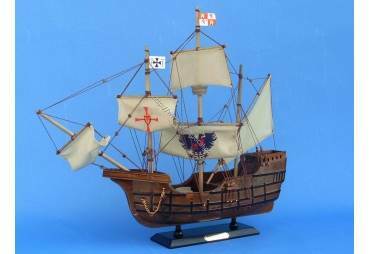 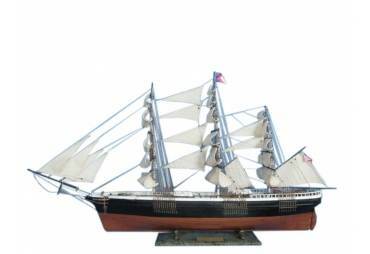 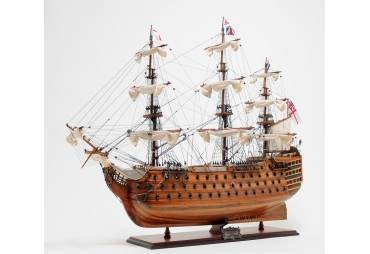 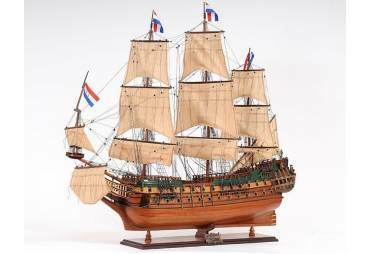 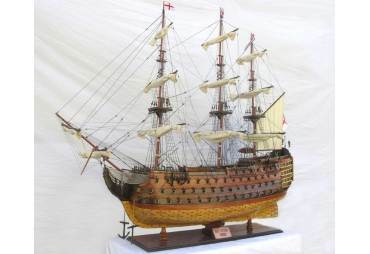 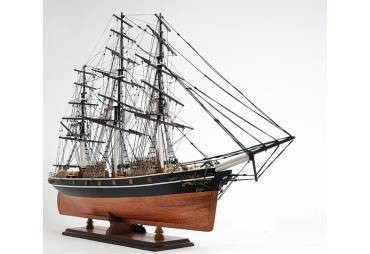 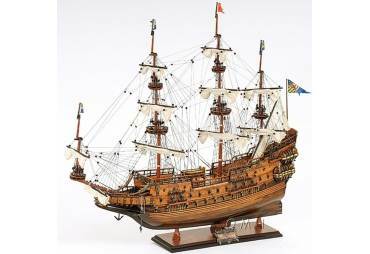 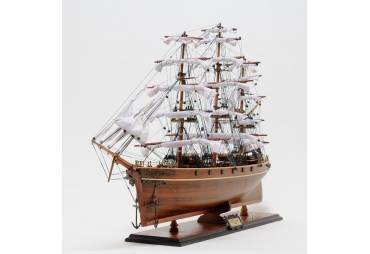 → Model Ships>Tall Ships>Christian Radich 20"
This scale model ship is painted exactly like the actual Christian Radich. 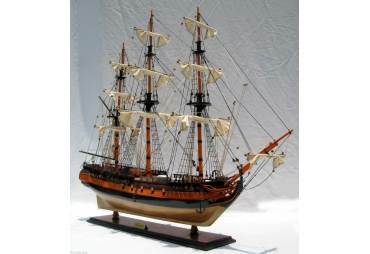 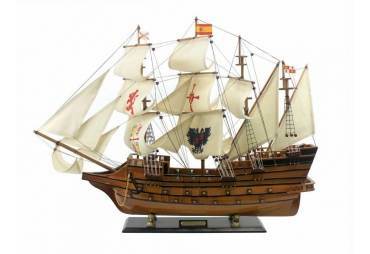 This scale model ship is painted exactly like the actual Christian Radich. 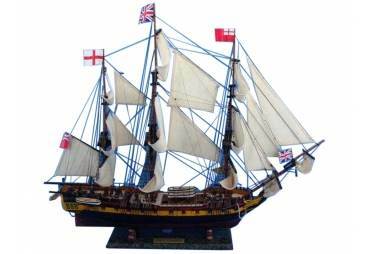 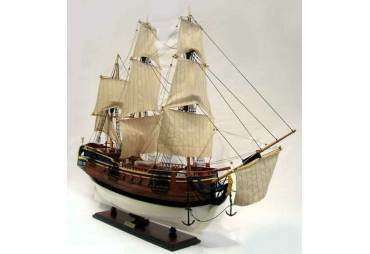 Our tall ship models are micro-sanded many times to ensure maximum update for paint and varnish. 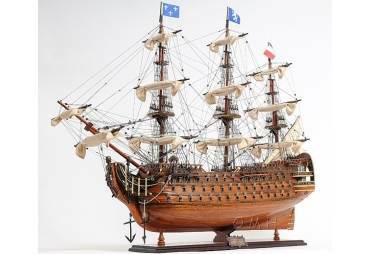 All models are completely built, not from a kit. 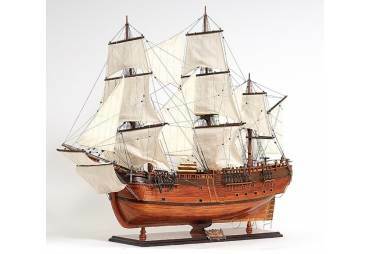 They are made by our master artists from scratch. 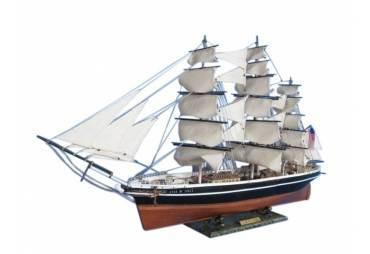 Look at the Very accurate features include: Metal propeller, white sails, two metal anchors with a chain on the fore of the boat, the name “Christian Radich” on the front side, and the stern of the boat. 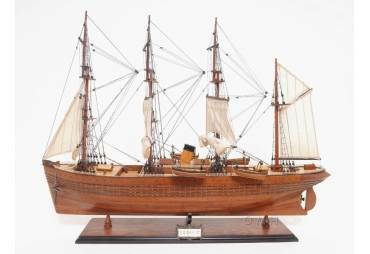 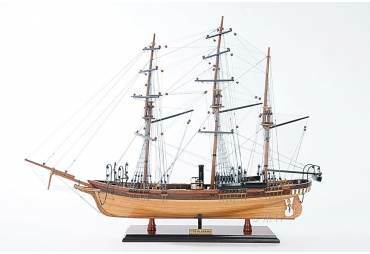 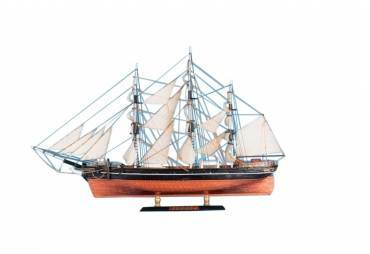 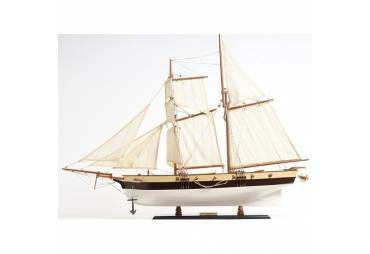 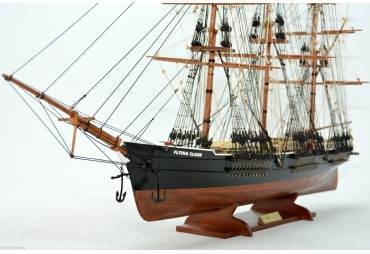 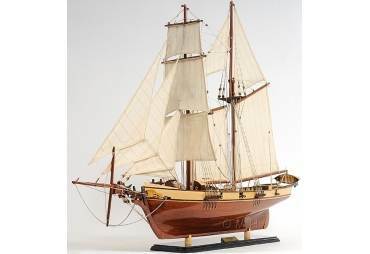 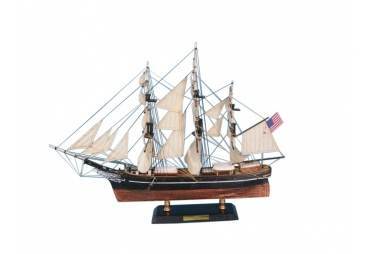 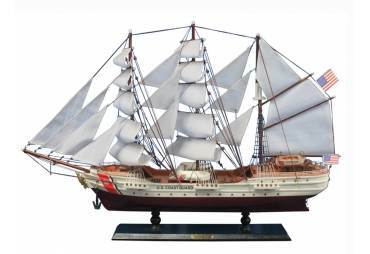 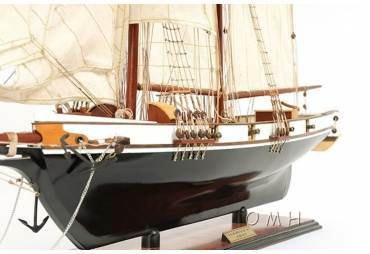 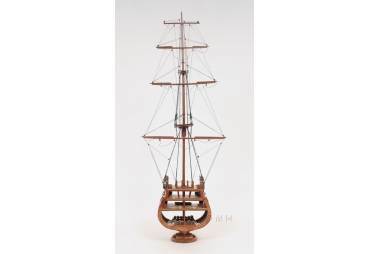 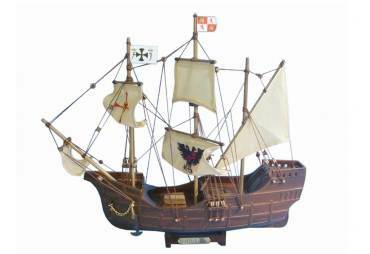 This Christian Radich model sailing ship rests perfectly on a wooden base. 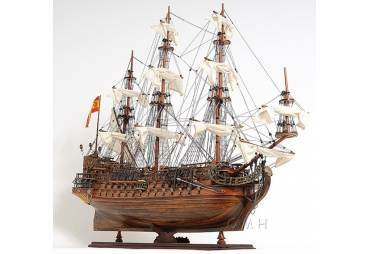 To build this ship model, extensive research was done using various sources such as museums, drawings, copies of original plans and photos of the actual ship.